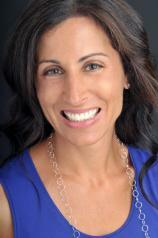 Lisa Genova --- author of STILL ALICE and LEFT NEGLECTED --- talks about her new book, LOVE ANTHONY, and the awareness she hopes to raise for autism, one of the many topics she tackles here. She also describes her writing process and the kind of research she did in preparation for the novel. Question: You have said that Oliver Sacks, along with your grandmother’s struggle with Alzheimer’s inspired you to pen STILL ALICE. Was there a particular person in mind when you started LOVE ANTHONY? Lisa Genova: This book began with Anthony, a boy with autism who doesn’t speak, inspired by my cousin’s beautiful autistic son, Anthony. My cousin and I are close, and my oldest daughter and Anthony are the same age. We spent much of their baby and early childhood years together. So, as with STILL ALICE, this story sprang from a deeply personal place. Q: What kind of research did you undertake for this novel? LG: I did a lot of research on autism for this novel. I read as many books, blogs, and research articles as I could both before and while I was writing LOVE ANTHONY --- from fiction to memoir to clinical texts. A list of the books I read can be found at my website. I interviewed physicians, behavioral therapists, an EMT, and people who’ve experienced seizures. The most important research involved talking with parents of children (age 3-17) with autism. These conversations were intensely personal, raw, honest, and generous. I can’t thank these parents enough for what they shared with me. Q: Did you intend to make it a two-fold story (two characters whose lives intersect) or did that come organically? LG: This was the intention from the beginning. I did this for two reasons. One, both for the child who has it and for the families who love and advocate for them, autism can be incredibly isolating. When I talked with parents and professionals who know autism, I repeatedly heard the same words --- isolated, disconnected, solitary, alone. While isolation is a very real aspect of living with autism, and I certainly needed to portray this in the book, I wanted to show people connecting (lives intersecting) through autism. Second, much of the focus on autism, especially among people who aren’t all that familiar with it (like Beth at first), is on all the ways that autistic children are different from typical children. The focus is on what is strange or abnormal or even tragic. Again, that is there, but I also wanted to shed light on what is the same among all of us, whether you have autism or not. How do we connect as human beings with each other? Are we all capable of this? What happens when we can’t or won’t or give up on connecting? What happens when we find a way to truly understand and accept each other? Q: You have your degree in biopsychology and a PhD. in neuroscience. How has your education influenced your writing? LG: Neuroscience continues to be the first and foremost influence on what I’m interested in writing about. I’m definitely still a nerdy girl who loves learning about how the brain works. I love that I get to weave this passion for neuroscience into the stories I tell as a novelist. I get to ask the questions I care about most, questions about the brain and the bigger questions about life and then try to answer them as best I can through stories. I’m a lucky, nerdy girl! Q: What part of the writing/publishing process do you find the most challenging, the researching, the actual writing, the editing, the public speaking at conferences and on book tours? LG: I honestly love all of those aspects of being a writer, even (and especially) the challenges. I think the most challenging part is when I have to do all of these at once! For example, many times in the past year while traveling on book tour for LEFT NEGLECTED or on speaking tour for STILL ALICE, I would read a book about autism on the plane and then write some of LOVE ANTHONY in a Starbucks (Sydney, London, Montreal) before having to give a talk about Alzheimer’s or a book event about LEFT NEGLECTED. So on any given day, I might be writing about Olivia and Anthony and autism but also talking about Alice and Alzheimer’s or Sarah and Left Neglect. Q: How was the experience of writing LOVE ANTHONY different from your two previous novels, STILL ALICE and LEFT NEGLECTED? LG: When I was writing STILL ALICE and LEFT NEGLECTED, I always felt like I could lean on my neuroscience background when I needed it. I could go to the textbooks and the medical community for scientific information about Alzheimer’s or Neglect and traumatic brain injury, and, as a fledgling writer, I found this comforting. With LOVE ANTHONY, I was very much aware that I was writing without this safety net. There is no neuroscience textbook on autism. And the structure of this story is far more complex than my previous two books. With STILL ALICE and LEFT NEGLECTED, I was a neuroscientist writing a novel. With LOVE ANTHONY, I became a novelist. Q: Can you read other writers while you are working on a book, or do you take a sort of ‘media-blackout’ approach? LG: I’m always reading, typically two or three books at once. While writing LOVE ANTHONY, I was always reading a book about autism --- THE SIEGE, BORN ON A BLUE DAY, MAKING PEACE WITH AUTISM, A REGULAR GUY, THE WAY I SEE IT, SON-RISE, THINKING PERSON'S GUIDE TO AUTISM. But I was also usually reading a novel or a memoir unrelated to autism. Right now I’m reading MAPPING FATE, ONE HUNDRED YEARS OF SOLITUDE, and MAINE. Q: With STILL ALICE, you raised awareness to the insidious disease of Alzheimer’s, and in LEFT NEGLECTED, you shed light on traumatic brain injuries. 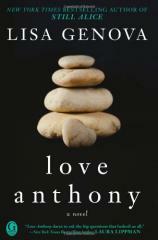 Is it your hope that LOVE ANTHONY can do the same for autism? LG: Absolutely. Scientifically and clinically speaking, we’re only beginning to understand what autism is. Most physicians were taught essentially nothing about it when they were in medical school. So in 2012, we’re in the infancy of elucidating the neuroscience of autism. Yet 1 in 88 children are on the spectrum. And each one of those children has a mother, a father, grandparents, siblings, cousins, neighbors, teachers, student peers, friends --- people who are touched by autism, connected to it, and need some better understanding of what it is. I hope that LOVE ANTHONY can contribute to an increased awareness and a much-needed, better understanding of autism. LG: My next novel is about a genetic, neurodegenerative disease and fate.